It's been awhile but I found another good candidate to restore and hopefully breathe new life into! 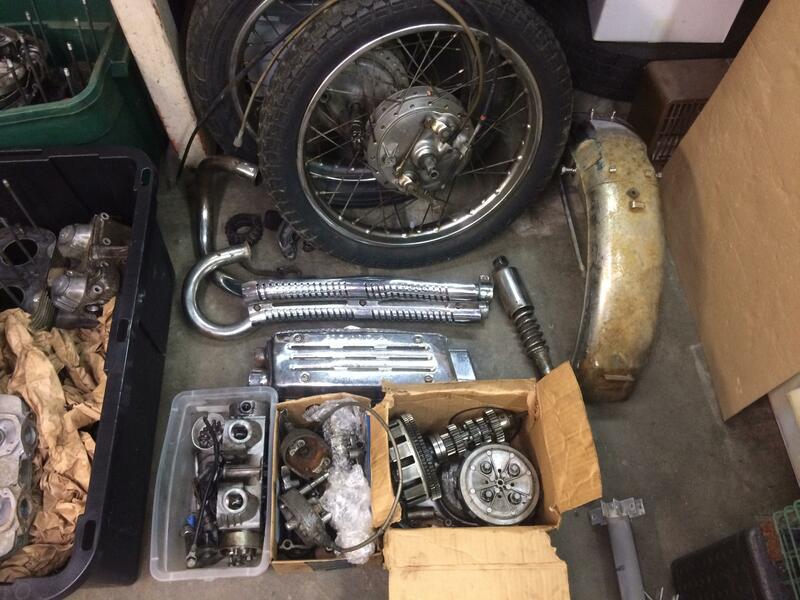 Got another `69 CL350 basket case off craigslist with an extra CB engine and a few misc parts. I've just begun sorting through things but I think it's mostly there. At $800 I think I have enough left in the budget to get it running again. 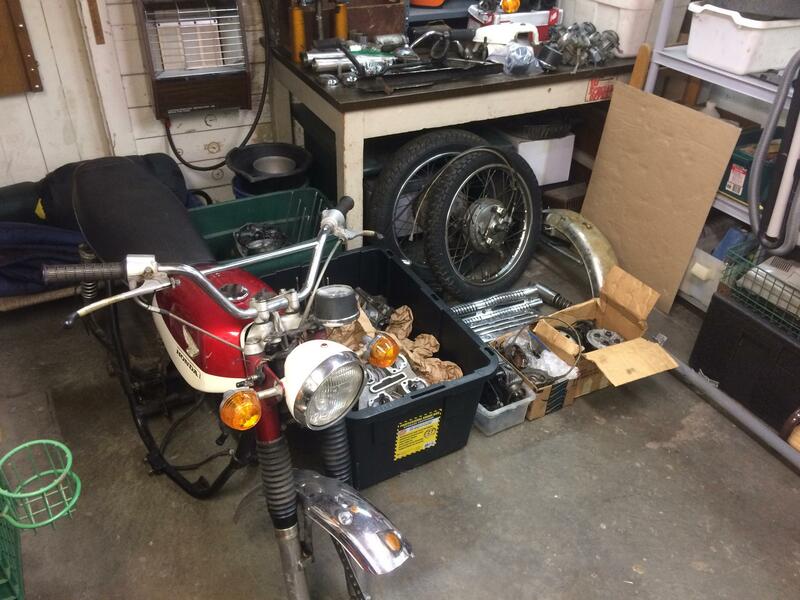 My current `69 CL350 was in boxes when I got it and is pretty much completed. I still need to pull the engine for a rebuild and paint/polish so it will be good practice to see if I can get this new one together and running. Will try to post as things progress. 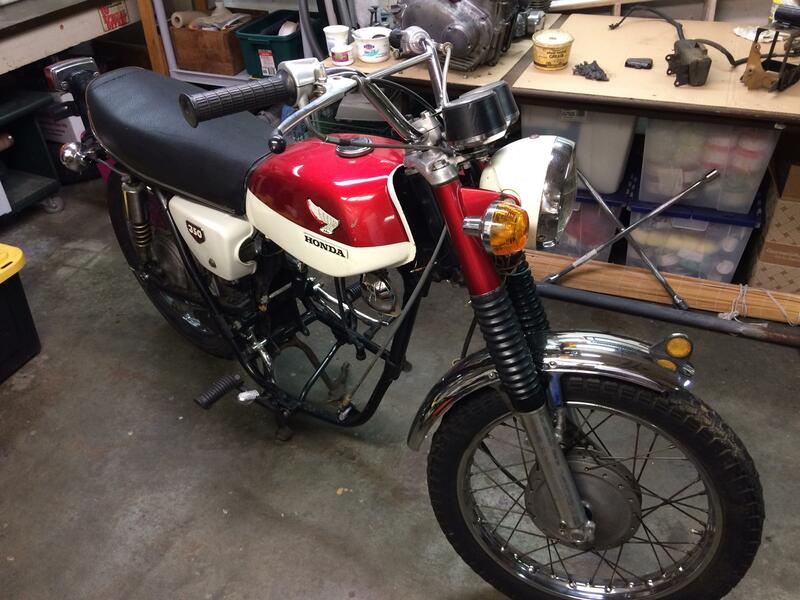 I've also put together a `72 CB350 so I am getting much better at it! I think it was sawed off. I need to look a little closer when I have time. All the ones i've seen have the top pipe as part of the muffler. You are right on the seat. A `69 would have pleats. And I think the tank is a `68 as well. The `69s had a colored stripe added just below the top painted section. I'm guessing sometime over the last 50 yrs someone replaced them. The serial number on the frame indicates it was a `69. And does anyone know about the chromed muffler guard? I've seen them before but I thought the factory ones were painted black. Yeah, the factory muffler shield was black. I've seen a few others that were chromed - I always wondered why Honda put a black heat shield on a bike that had chrome all over it and bright-colored paint. 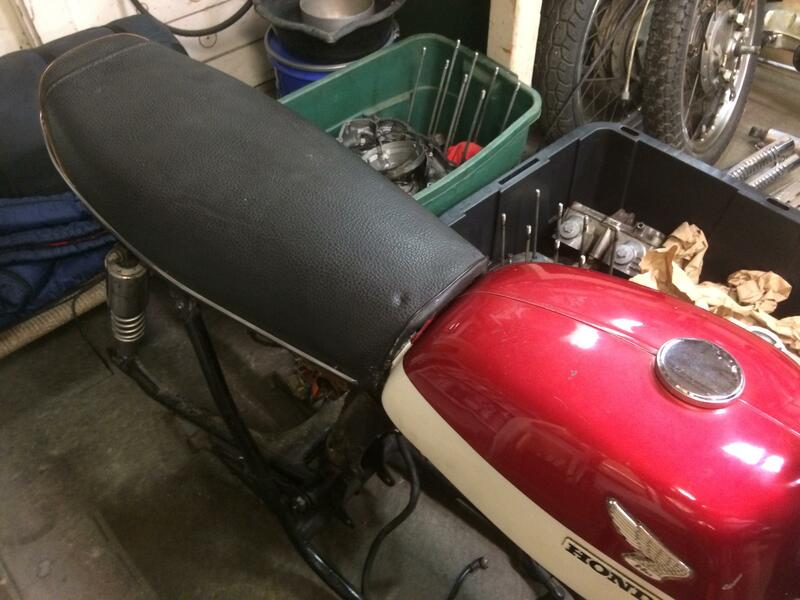 Honda supplied some of the really early '69 models with '68 pattern tanks on them, so it's hard to tell if that's the original tank or not. I suppose some could have had the '68 seat, too. 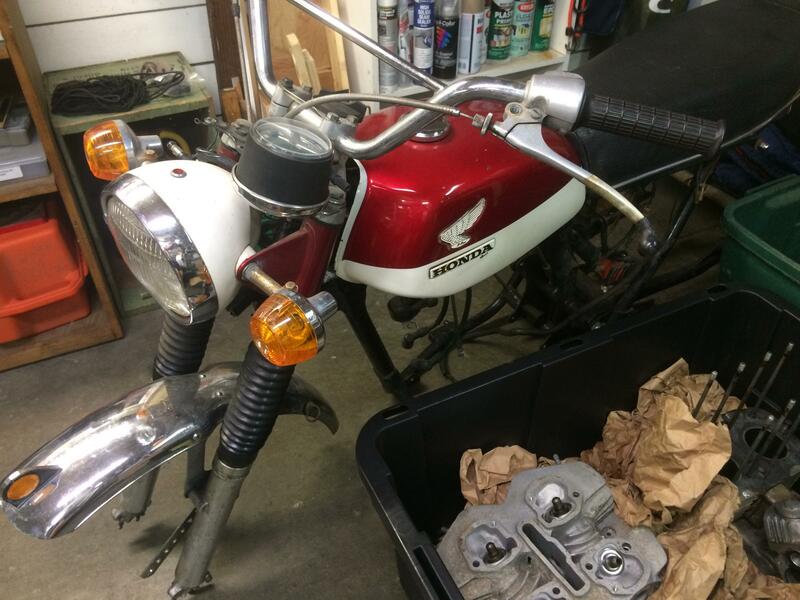 Only the early '69 models had the front fender reflector, so I guess it's possible that some '68 parts found their way onto it at the factory. It's interesting that both the '68 and '69 were called K0 models, and the '70 was a K2. Although you sometimes see the '69 called a K1, I wonder why the '69 wasn't called a K1 in the factory literature? 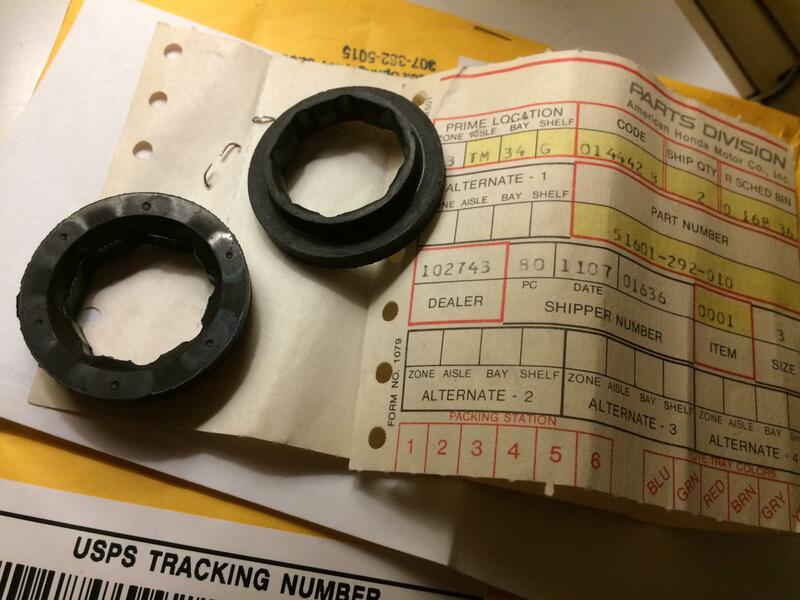 I don't usually find much on Amazon for my CL350 but I was doing a Google search for these fork rubber insulators and sure enough, there was an NOS pair for $10/each, free shipping! Didn't believe it until they arrived. Looks like an old Honda dealership was cleaning their warehouse. I'll put these on my orange `69 as the ones on this red CL aren't too bad. Things are progressing and it's slowly but surely taking up less space in my garage so I can get going on the engine. Missing a few things but nothing major. Harness is in good shape but I noticed something odd. The winker module is located by the battery box. I think it will end up hanging under the starter relay. Uses the same bracket and rubber holder as my other `69 but its is located up by the coils. Hangs off one of the bolts that hold the coils and horn on to the frame. 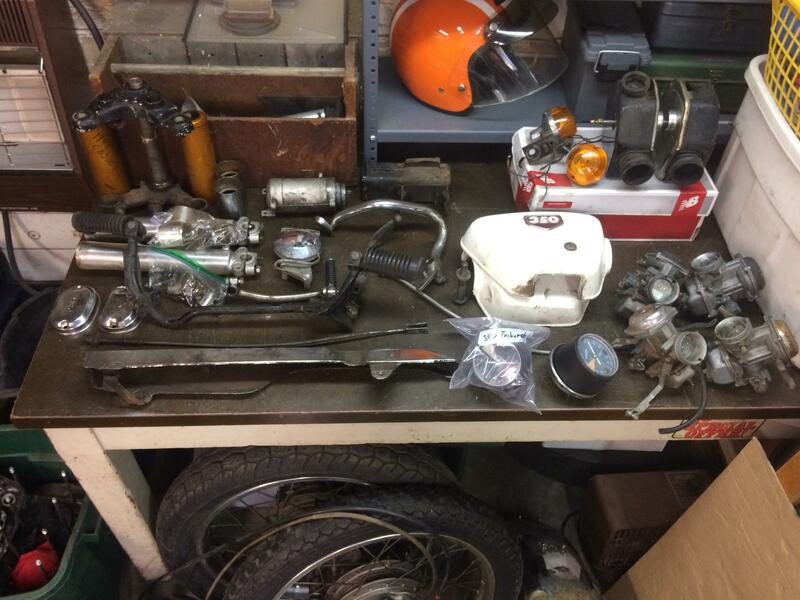 If you have a stash of extra parts and want to sell some in a bundle, PM me. I will post over in the parts wanted forum too with more info. 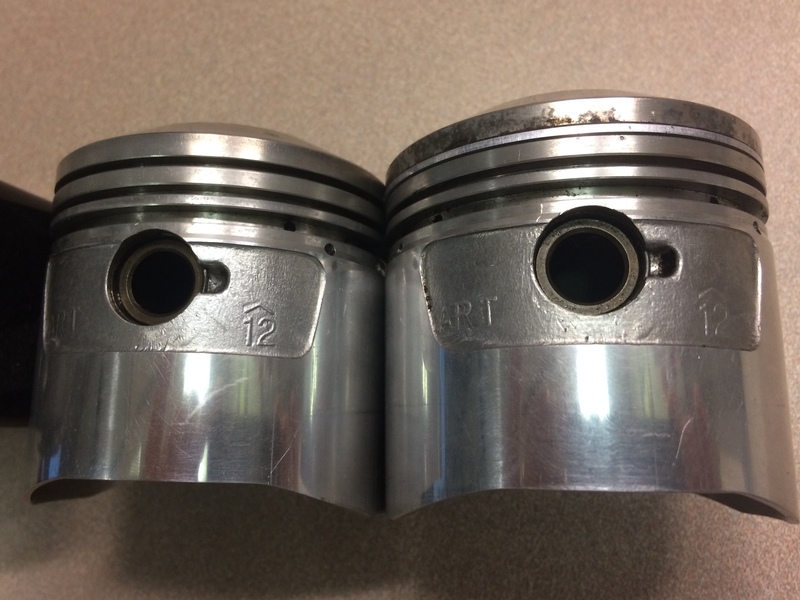 Can anyone tell me what the number 12 with an up arrow above means on these ART pistons? They caliper at 2.495". Was thinking it means 12 over but thought I read that they usually go .25 over, .50 over, etc. Wow I'm not sure how I missed this one! 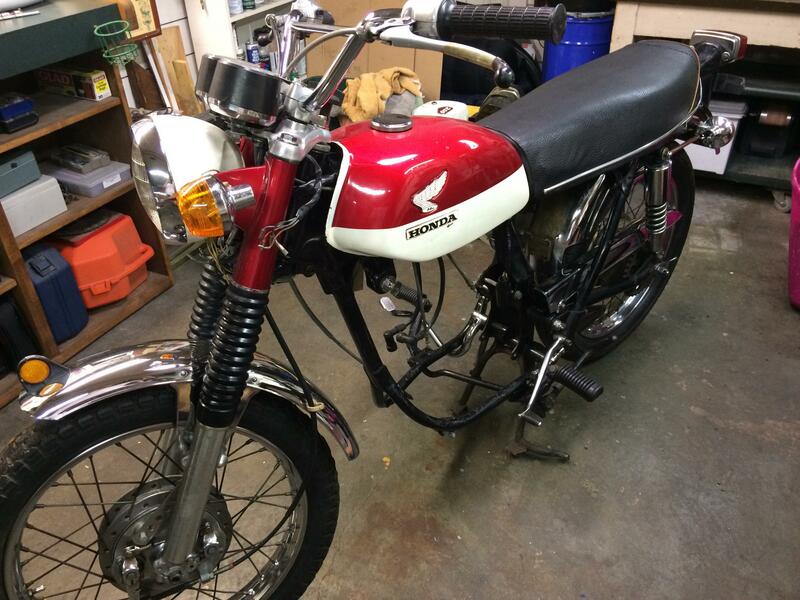 I'm on Craiglist 24/7 and I don't believe I ever saw this one. Cool deal. Thanks for the info! That makes more sense. I'm always happy to learn something new. The cylinder bores are 2.52" and I think a hone should clean them up. Then a new set of rings and I can start putting things back together. Now if I can just get that last top ring out!! It's really stuck and I don't want to damage the groove.